Lawyers defending the Russian company Concord Management indicted by the corrupt Mueller team again called out Mueller’s liberal hacks and labeled their allegations as “made up” nonsense. As reported on Wednesday, Concord Management’s lawyers revealed that Mueller’s team of ignored over 70 discovery requests they had made for information before the case. In response Mueller’s team offered to give Concord Management’s lawyers a massive amount of social media data from those dangerous trolls (jk) who sought to influence the US election and the majority of it was in RUSSIAN. Mueller’s lawyers then admitted that they don’t even have English translations for the Russian social media posts. So Mueller’s lawyers don’t have English translations to the Russian social media posts but we’re supposed to believe we were influenced by these posts? Now we have more information on the hearing. At one point, the Mueller attorney, former Clinton Foundation attorney Jeannie Rhee stated that there is “1.5 to 2 terabytes of data, covering hundreds of facilities that compromise the defendant’s operational accounts” provided to the courts. It turns out that the ‘facilities’ that Clinton supporting Rhee was referring to were actually just social media accounts. Then among other things previously reported, Attorney Rhee went on to align the 10 Russians identified by the Mueller team as members of an ‘organization’. The Russian company’s attorney responded to the judge who apparently understood that these Russians were all members of Concord Management. No that’s not correct. The individual defendants? No. It’s not even alleged who they are. They’re alleged to be associated with something called an “organization,” which is a made up thing by the special counsel. They just made it up, and they called it an “organization”. Were not even alleged to be part of the organization. We’re alleged to have funded it. But those people don’t work for us. It’s not alleged they they work for us. This is more proof Mueller rolled out this indictment of Russians as a PR stunt to justify his witch hunt; his team is not prepared to try this case and it’s hilarious to watch as they struggle and look like the corrupt amateurs that they are. The reason the Concord Management attorneys called the case a ‘proverbial ham sandwich’ was because one of the entities indicted by the Mueller team, Concord Catering, was not in existence at the time the crimes were alleged to have taken place. 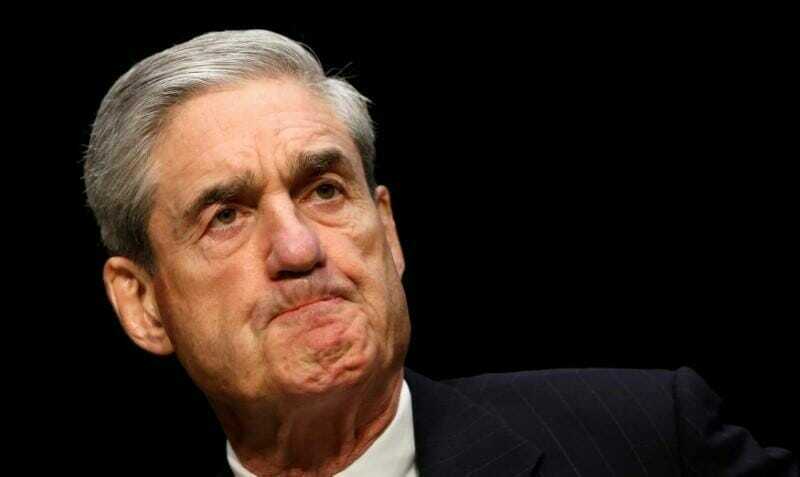 Mueller and his corrupt team are pathetic, a disgrace and a historical stain on this country.